Amazon CloudFront Allow us to monitor our website or application using CloudWatch.Using metrics, we can specify a time interval of as little as one minute for time periods in the previous two weeks. Following cloudwatch metrics are provided by CloudFront. 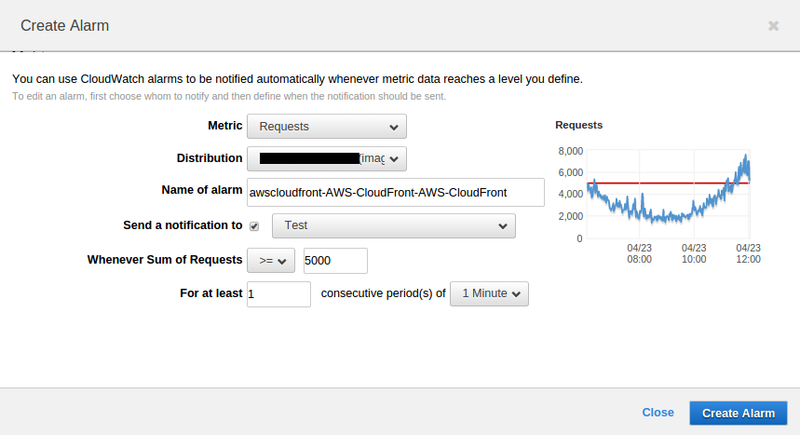 Login to CloudFront console and by clicking select Monitoring and Alarms tab from navigation panel. From left most corner click over the Create Alarms. 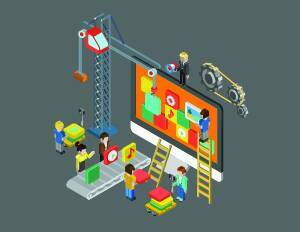 Distribution : Choose the CloudFront distribution for which you want to create the alarm. After creating the alert,whenever the threshold cross the specific value we will receive the alert over the subscribed email address.